In a presentation at the Mongolia Economic Forum, Rio Tinto’s Arnaud Soirat told Mongolian leaders that to hold on to foreign investment, a more hands-off approach is needed. 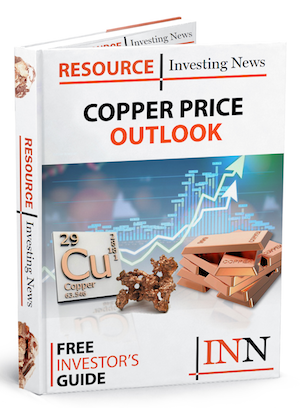 In a presentation at the Mongolia Economic Forum on Monday (May 21), Rio Tinto’s (ASX:RIO,LSE:RIO,NYSE:RIO) copper and diamond chief executive, Arnaud Soirat, handed out advice to Mongolia’s leaders on how to attract — and keep — foreign investment. In short: stick to the rule of law and don’t meddle in projects, or investors and their money will flee. Soirat described Rio Tinto’s multi-billion-dollar Oyu Tolgoi copper project as a “test case for future investment in Mongolia,” and noted that the world is watching what the government is doing. The company has been experiencing difficulties in Mongolia over the last few months, with delays in the construction of an underground expansion weighing down profits. What’s more, it’s faced extra tax bills from the government and changing demands on power supplied to the property. The forum Soirat was presenting to was attended by the highest-ranking members of the government, including the president, the prime minister and members of parliament — which has been in dispute with mine operators this year. 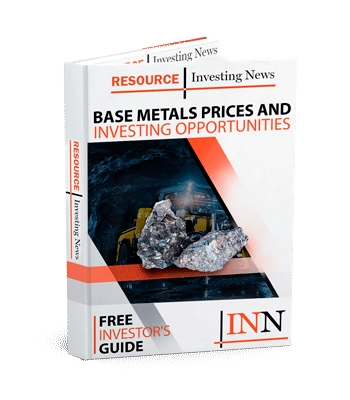 Rio Tinto is the operator of Oyu Tolgoi through Turquoise Hill Resources (TSX:TRQ), and the Mongolian government owns a 34-percent stake in the asset. Soirat was diplomatic in his presentation, schmoozing with Mongolia’s leadership, but delivering a sharp message: hands off. “There is no doubt Oyu Tolgoi Underground is a complex and difficult project and it will require Rio Tinto’s balance sheet and technological competence to succeed,” he said. “We are confident we can pull it off but we do need your trust, patience and support, please let us get on with the work of continuing to build a world class business,” Soirat added. He used Chile as an example of what Mongolia could become in regards to copper production, saying that mining investment can act as a springboard for future diversification. “Mongolia has all the ingredients to become a successful resource nation and to use her mineral revenue to fuel sustainable, long-term, diversified growth,” he commented. He said that for Mongolia to maintain a course for success, it must become a stable investing environment with laws that the government abides by. The company is no doubt hoping the message was heard loud and clear. Rio Tinto has so far invested US$7 billion in Mongolia, and Soirat said that by the end of ongoing underground development works the company could have invested US$12 billion — more than Mongolia’s annual GDP. Upon completion of the Oyu Tolgoi underground expansion, the mine is expected to produce 560,000 tonnes of copper a year. Rio Tinto isn’t the only company Mongolia has been scuffling with; earlier in May, Mongolian Copper fended off more attempts by Ulaanbaatar to nationalize the 49 percent of the Erdenet copper mine that the government doesn’t control. Mongolian Copper Chairman Mukhbaatar Myagmar clearly feels the same way as his fellow miners, having warned previously that the government’s attempts to seize Erdenet could damage the country’s reputation as a place to invest.